Curious enough yet? 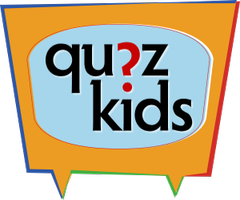 These kids quiz questions will hopefully help you find the answers to some of your curiosities. 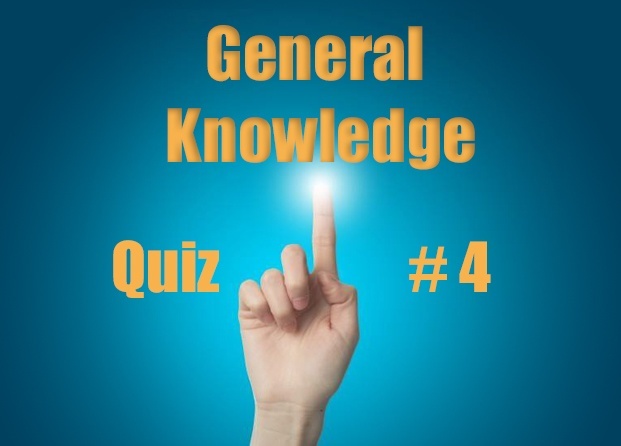 Browse through the 29 general knowledge quiz for kids questions and discover something new. Have fun! 1. Do other planets have moons? Earth is not the only planet with a moon. 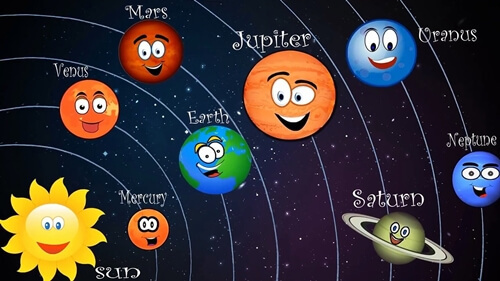 Mars has two moons while Jupiter and Saturn have more than 30 moons each. Venus and Mercury are the only planets with no moons. 2. Where did the Earth come from? The earth came from a cloud of dust. The dust whizzed around the sun at speed and began to stick together to form lumps of rock. The rock crashed into each other to make the planet – the Earth is one of these planets. The earth is a huge ball-shaped lump of rock. Most of the Earth’s surface is covered by water – this makes the seas and oceans. Rock that is not covered by water makes the land. 3. Why does the Moon change shape? The sun lights up one side of the Moon while the other side is dark. As the moon circles the Earth, we see different parts of the lit side. 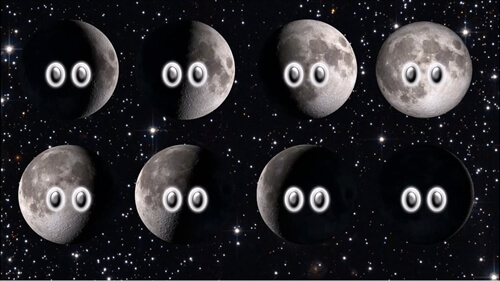 This is why the Moon seems to change shape. 4. 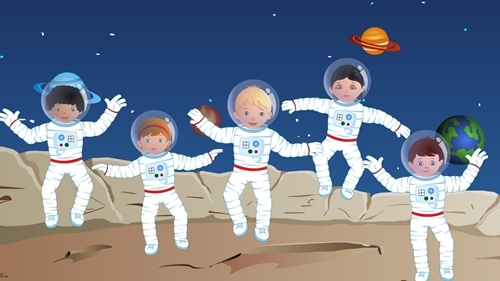 Why do astronauts float in space? When things are in space they don’t have any weight, that means that everything floats. So do astronauts! This makes them feel sick, too. In a spacecraft everything is fixed down to stop it floating away. Astronauts have footholds and handholds to grab onto. 5. What is a Volcano? A volcano is a mountain that sometimes shoots hot liquid rock out of its top. 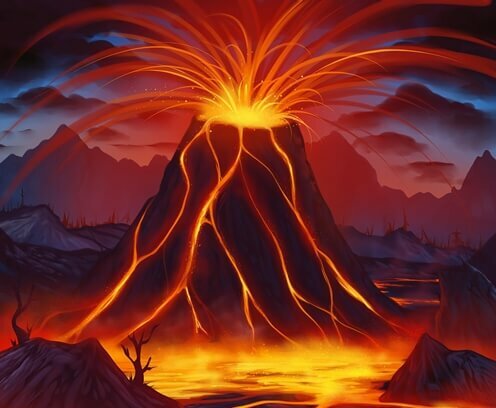 Deep inside a volcano is an area called liquid rock. If pressure builds up in the chamber, the volcano may explode, and the liquid rock will shoot out of the top. 6. Why are there earthquakes? 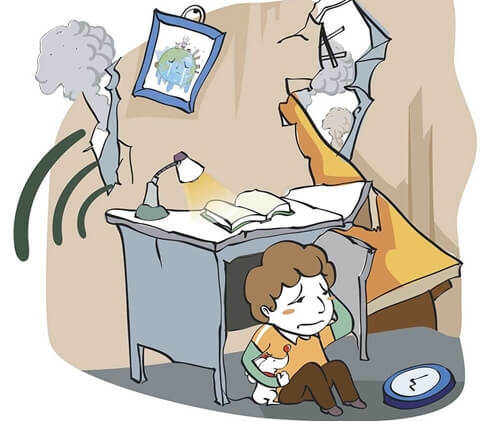 Earthquakes happen when the plates in the Earth’s crust move apart suddenly, or rub together. They start deep underground in the area called the focus. The land above the focus is shaken violently. The worst part of the earthquake happens above the focus, in an area called the epicentre. Icebergs are big chunks of ice that have broken of glaciers and drifted into the sea. 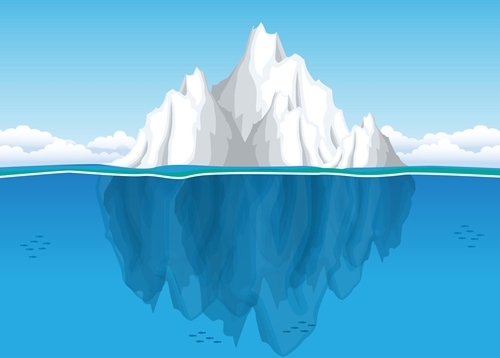 Only a small part of the iceberg can be seen above the water, the main part of it is hidden under the water. 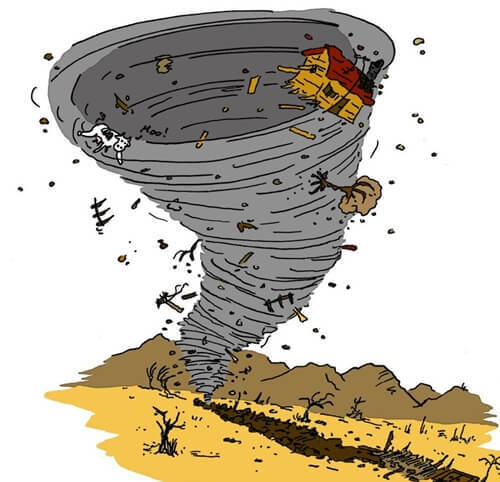 8.How does a tornado starts? A tornado is the fastest wind on Earth. Tornadoes start over very hot ground. Here warm air rises quickly and makes a spinning funnel. This funnel acts like a vacuum cleaner, destroying buildings and lifting cars and lorries off the ground, making it a very dangerous storm. The centre of the hurricane is called the eye and here it is completely still. However the rest of the storm can reach speeds up to 300 kilometres an hour. 9. 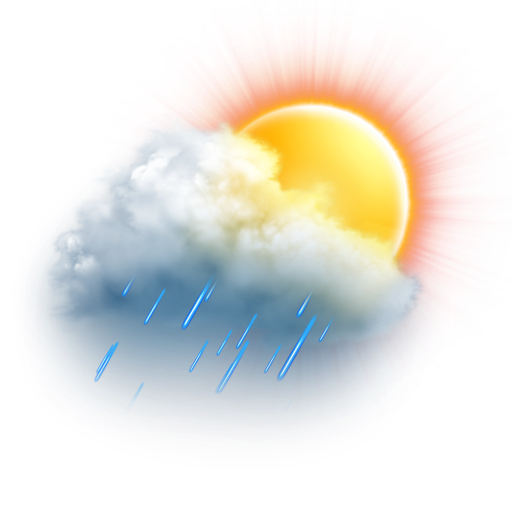 Where does rain come from? Rain comes from the ocean! Water moves between the ocean, air and land in a water cycle. A fine mist of water rises into the air from the ocean and from the plants. This fine mist then forms clouds. Water can fall from the clouds as rain. Every day there are more than 45 000 thunderstorms on the Earth. 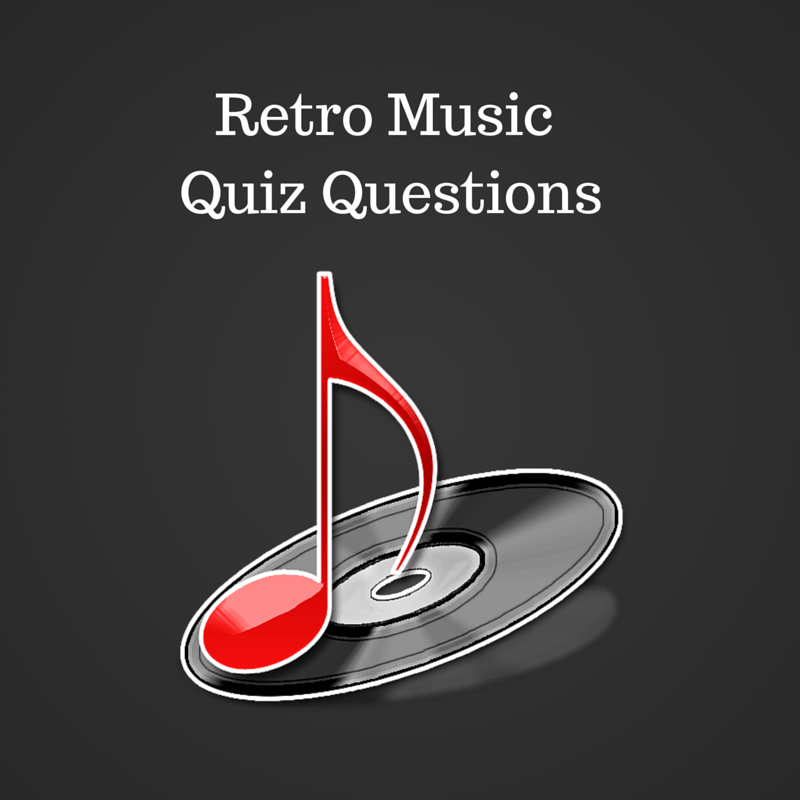 10.Kids Quiz Questions: When does the sky have curtains? In the far north and the far south of the world, amazing patterns of light sometimes appear in the sky. They look like colourful curtains. 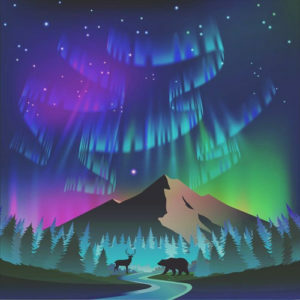 The patterns are called auroras. They will happen when tiny light particles from the Sun smash into the air. 11. What is a fossil? A fossil was once a living thing that has now turned to stone. By studying fossils scientists can learn more about the past and how animals such as dinosaurs used to live. It takes millions of years to make a fossil. When an animal dies, it may be buried by sand. The soft parts of its body rot away, leaving just the bones, teeth or shells. These slowly turn to rock and a fossil has formed. 12.Are there schools in the sea? Some fish live in big groups called schools. This may protect them from hungry hunters. 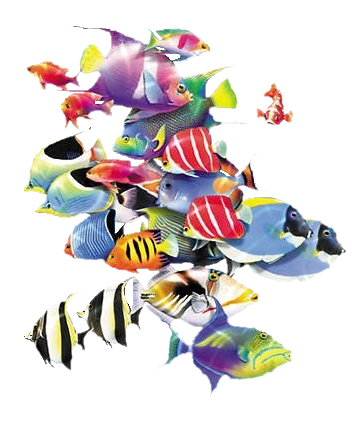 There are thousands of different types of fish in the sea. Most are covered in shiny scales and use fins and tails to swim. Fish have gills that take in oxygen from the water so that they can breathe. 13. What is the biggest sea animal? The blue whale is the biggest animal in the ocean -and the whole planet. It is about 30 metres long and can weight up to 150 tonnes. It feeds on tiny, shrimp-like creatures called krill and eats about four tonnes every day. All whales make sounds, such as squeaks and moans. The humpback whale really does seem to sing. The males probably do this to attract a mate. He may repeat his song for up to 20 hours. 14. 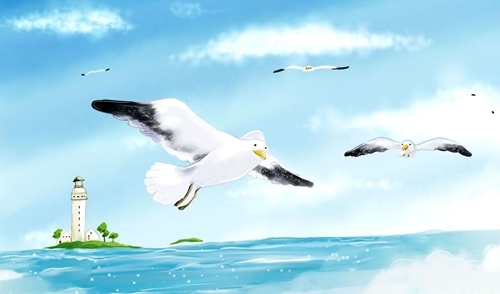 Can seabirds sleep as they fly? Wandering albatrosses are the biggest seabirds and spend months at sea. They are such good gliders that they even sleep as they fly. To feed they sit on the surface of the water, where they catch creatures such as squid. An albatross has a wingspan of around three metres – about the length of a family car. 15. Which penguin dad likes to babysit? 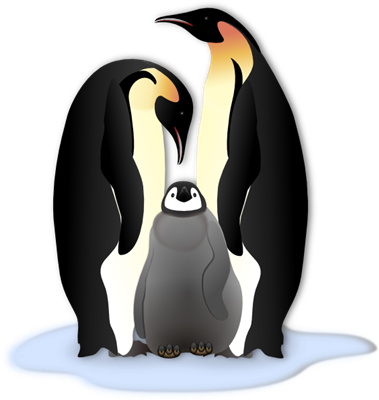 Emperor penguin dads look after the baby chicks. The female lays an egg and leaves her mate to keep it warm. The penguin dad balances the egg on his feet to keep it off the freezing ice.He goes without food until the chick hatches. When it does, the mother returns and both parents look after it. 16. Do pearls grow at sea? Yes they do. 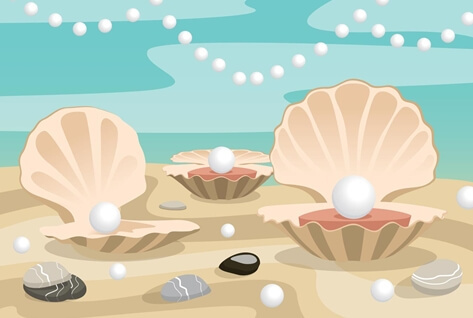 Pearls grow inside oysters, a kind of shellfish. If a grain of sand gets stuck in an oyster’s shell, it irritates its soft body. The oyster coats the grain with a substance that uses to line the inside of its shell. In time more coats are added and a pearl begins to form. 17. Who invented the first car? Karl Benz invented the first car in 1896. It had a petrol-powered engine but could not travel very fast. 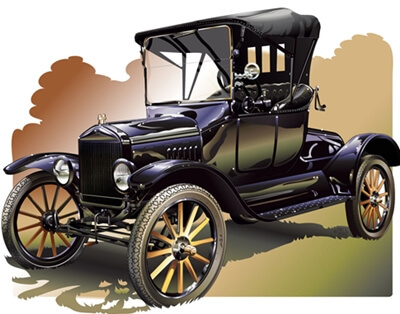 The first popular car was the Model T, built in 1908 by the Ford company in the United States. Over 15 million of them were sold worldwide. 18. Who used the first sails? Sails were invented by the Egyptians more than 5 000 years ago, and the best sailors were the Phoenician people. They sailed in boats made of cedar wood and reeds. This ships had sails and oars and were used to make long journeys. 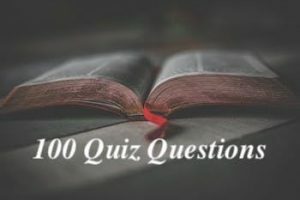 20.General Knowlede Quiz For Kids: Why do spiders make silk? 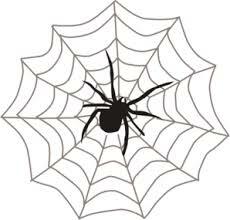 Spiders make very thin, fine threads called silk. Some spiders use their silk to make webs to catch their pray. Other spiders wrap up their victims in silk to stop them escaping. Female spiders make silk bags called cocoons and lay their eggs in them. 21. What is a dinosaur? Dinosaurs were animals that lived millions of years ago. There were lots of types of dinosaur- little ones, big ones, fierce ones and shy ones. 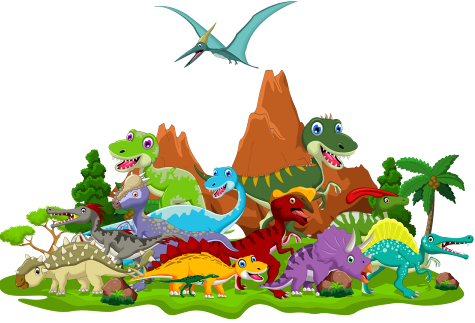 All dinosaurs lived on land but they died out long time ago – there are no dinosaurs living today. It is thought that the first dinosaur lived 230 million years ago. The biggest dinosaur ever discovered is Argentinosaurus, it is thought that it may have measured 40 metres from head to tail! 22. 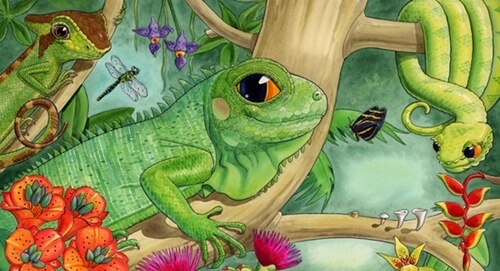 What is a reptile? Reptiles are cold blooded animals. This means that they cannot control their body temperature. A reptile’s skin is dry and scaly. There are four kind of reptiles – snakes and lizards, crocodiles, tortoises, and turtles and the tuatara , a kind of lizard. Reptiles do a lot of sunbathing – this is called basking, and they do this to get warm so that they can move about. When reptiles are cold they find it difficult to move quickly. 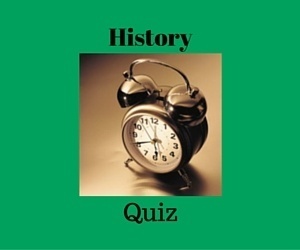 23.Why were the pyramids built? Pyramids were tombs ( burial places) for Egyptian rulers, called pharaohs. The three great pyramids of Khufu, Kafre and Menkaure were built in Giza Egypt 4 500 years ago. 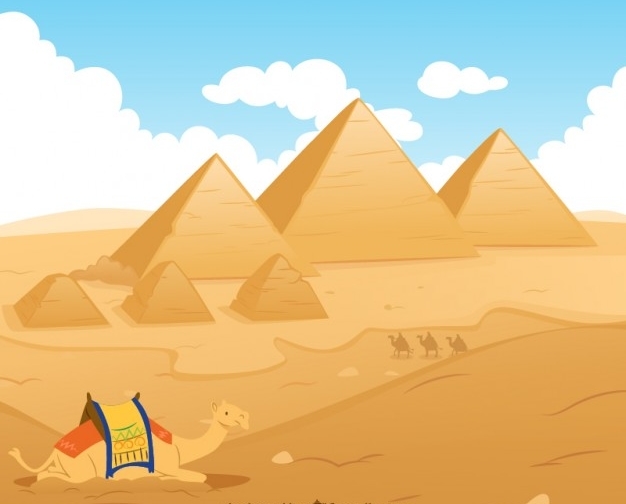 The great pyramid of Khufu is the biggest – it took approximately 20 years and 4 000 workers to build it. The pyramids were full of treasures and had two huge burial chambers. They were built for the pharaoh and his queen. 24. 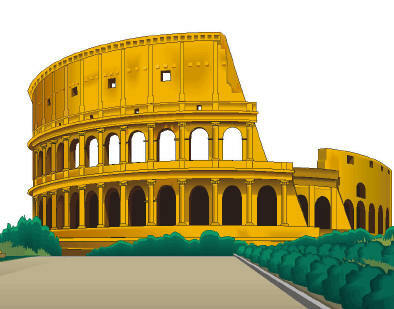 What was the colosseum? The colosseum was an amazing building – it was a huge oval arena in the centre of Rome, used for fights between men called gladiators and for pretend sea battles. Up to 50. 000 people could sit inside. It was built of stone, concrete and marble and had 8 entrances. 25. Where did Vikings come from? The Vikings lived about 2 000 years ago. 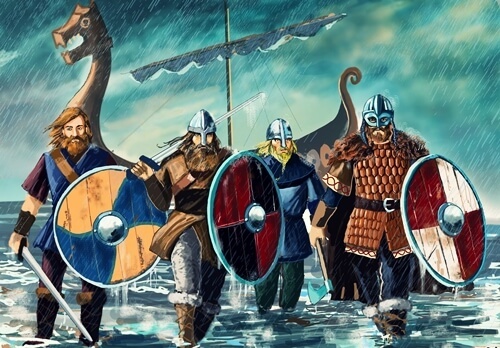 Viking warriors came from Denmark, Sweden and Norway to raid villages and steal treasures. 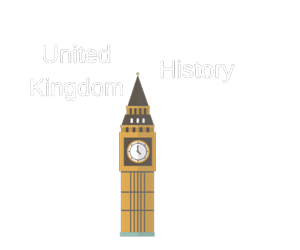 Viking families began to settle in England, Ireland, Scotland and France. They explored Iceland, Greenland and Russia and even travelled as far as North America. King Erik the Red discovered Greenland which was a dark and icy place but Erik wanted people to come and live there. He called it ‘Greenland’ so they would think it was a warm place full of threes and grass. 26. What was inside the castle? A big courtyard was inside the castle – called a bailey. A thick wall was built all around it. Smaller buildings were put up inside the bailey. Sometimes there were gardens and a castle often has his own mill and bakery. 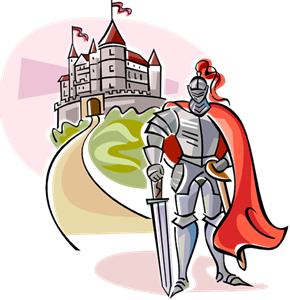 The safest place in the castle was a tall, strong tower – called a keep. 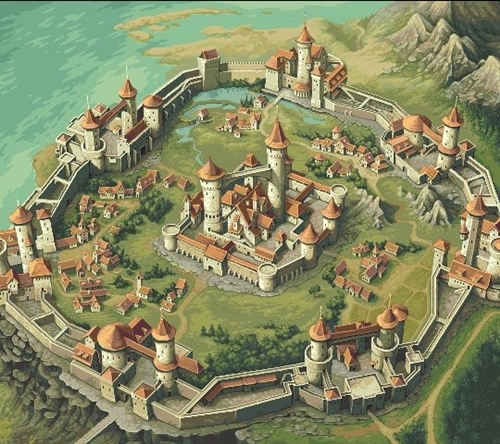 The lord of the castle lived there with his family. 27. What happened at knight school? A knight had to train for 14 years! First he went to a lord’s house when he was seven years old. There, he was taught how to ride and to shoot with a bow. Then he became squire and was taught how to fight with a sword. A new knight was given a special ceremony called a dubbing. First, he had to spend a whole night in church, praying on his knees and after that the new knight was tapped on the shoulder with a sword. 28. What is a pirate? Pirates are people who steal from ships and ports. As soon as the first ships began to carry goods, pirates began to attack them. 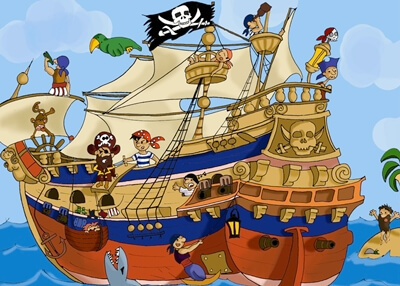 About 600 years ago, there were many pirates sailing on the seas and oceans around the world. Every sailor was afraid of the Barbarossa brothers! They were pirates who attacked ships about 500 years ago. One of the brothers captured the town of Algiers in North Africa. The other attacked ships that belonged to the Pope, who was the leader of the Christian church. Did all pirates want treasure? Pirates from the Mediterranean were called corsairs – they didn’t want treasure. Instead, they took people from ships and ports and sold them as slaves. Corsairs also captured rich people – they were paid a lot of money to release them. 29.What were the best ships? Pirate ships had to be very fast! Many were small and easy to sail. 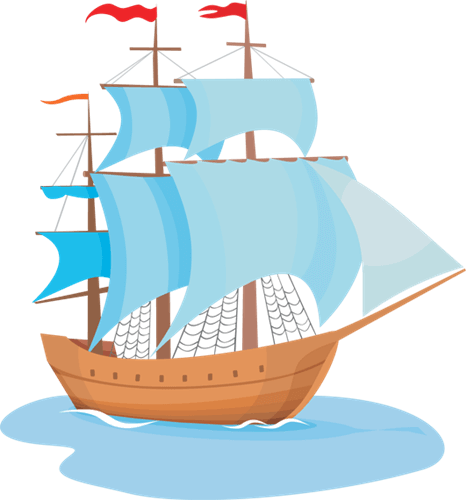 Schooners were ships that had two masts. Corsairs sailed in galleys – ships that had oars as well as sails. The captain had a cabin in the stern ( back of the ship). Treasure, gunpowder and food were stored in the hold, beneath the deck. Most pirates slept on the deck unless the weather was bad. Some put up hammocks below deck in the middle of the ship. It was cramped, smelly and noisy. This made some pirates ill – so did their food. They didn’t eat enough fruit and vegetables! They mostly ate dry biscuits and pickled meat when on board ship. They hunted fresh meat when they landed on islands, where they also collected fresh water and fruits. Pirate cooks often had only one arm on leg – they couldn’t fight, so they cooked! Merchant seamen were terrified when they saw the flag of a pirate ship. 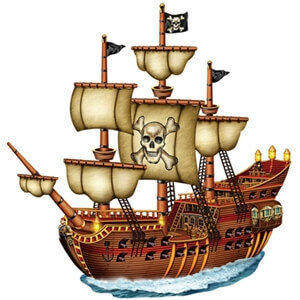 Each pirate captain added his own symbol on the flag, which sometimes was the famous white skull-and-crossbones. 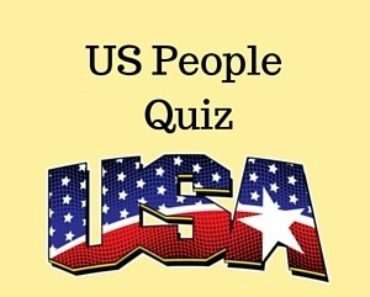 Enjoyed these kids trivia questions? 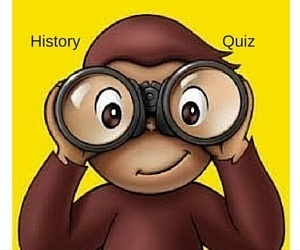 Let us know and we’ll happily add more kids quiz questions resources.